Think Broadway, think vintage, think glamour - that's what Marquee Love lights are all about. 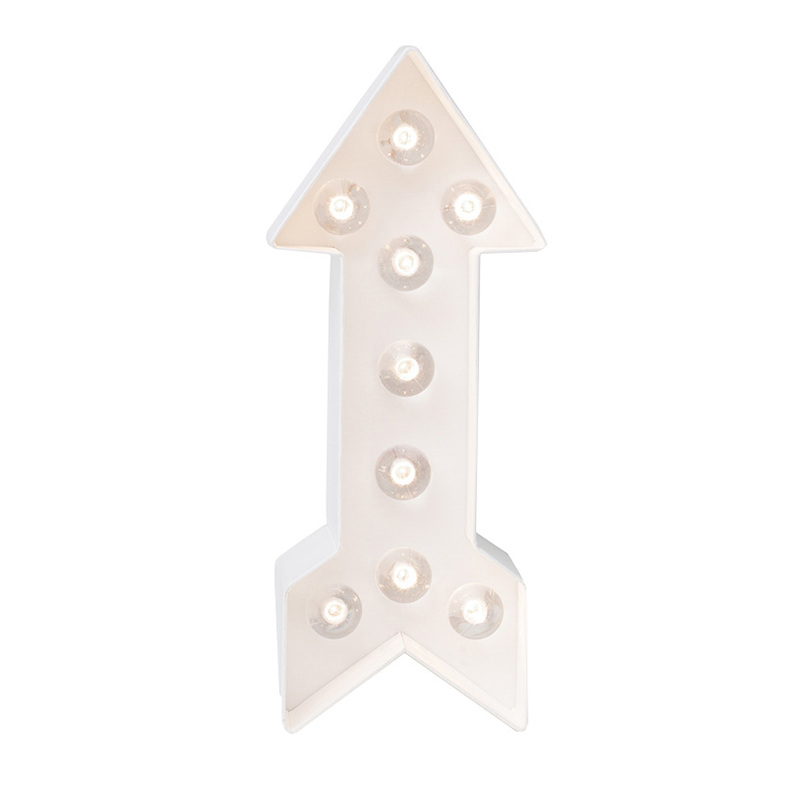 These Arrow Marquee Love lights are sturdy, yet lightweight and are designed to make assembly and customisation so easy. Each arrow comes as a kit containing the DIY arrow, 1 LED light strand with on/off battery switch, clear bulb caps, a tracing template and instructions. 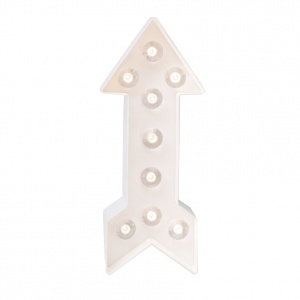 The arrow can be painted, glittered, taped, lined with paper, or simply left as is before inserting the lights and adding the caps. Just insert 2 x AAA batteries (not included), switch on and away you go. See the YouTube video for inspiration.